Greetings! Faith Ed. is now a little more than two months old, and it’s been a steady stream of events, articles, and interviews. I’m particularly excited about this Saturday’s event – the Boston Book Festival. I’ve volunteered there off and on for five years, and this is the first time I will be a presenter. and Boston College religion scholar, Erik Owens. 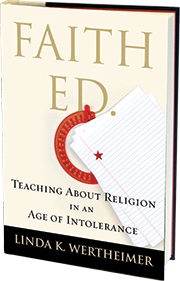 Katherine wrote The Good News Club, the Christian Right’s Stealth Assault on America’s Schools, It’s bound to be a lively discussion as we talk about religion’s role in schools today – the good as well as the not-so-good. 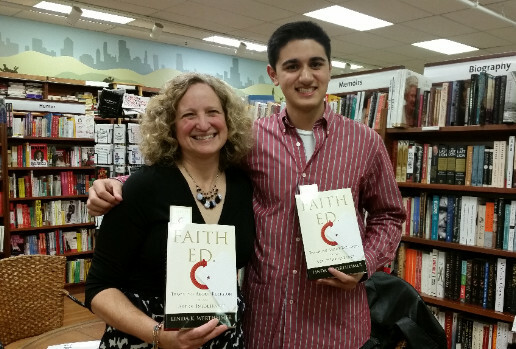 The Kathleen Dunn Show: Faith Ed. is making the rounds on NPR affiliates. 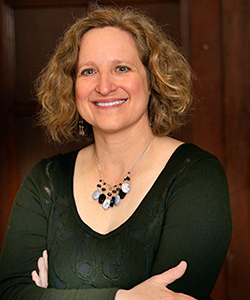 Most recently, Kathleen Dunn interviewed me on her NPR show based in Wisconsin. 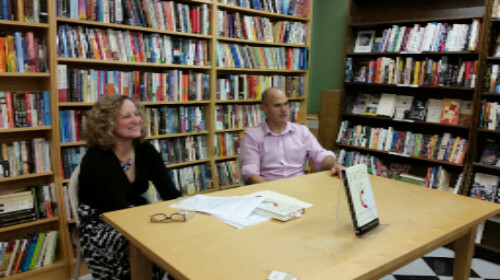 Reflections on a Very Special Reading: A recent talk at Wellesley Books may rank as one of the most memorable events. Chapter 2 of Faith Ed. chronicles what Wellesley Middle School went through in 2010 after a field trip to a mosque became national news. As a part of the reporting, I focused in on a handful of students in a sixth-grade class, including Zain Tirmizi. At age 12, he told me he was proud that he and his peers were learning about Islam as part of a Global Beliefs class. He hoped the class might dispel stereotypes. He recalled how a kid once asked to check him for bombs; that happened when Zain was in fourth grade. A few years later, I interviewed Zain again and he was still hopeful that the class was having an impact. 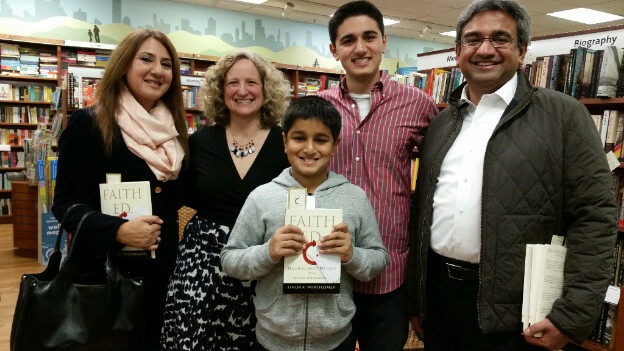 Last week, Zain, his parents, his younger brother, and aunt and uncle came to my talk. They seemed so proud and grateful that Zain was in the book. I consider myself the grateful one, grateful that Zain and his parents agreed to tell me their story in such an open and honest way. Zain is now 16. Zain Tirmizi and me after the Wellesley Books reading. Adam Blumer with me, during part two of the reading. Many thanks to those who came and asked such wonderful questions and most importantly, shared their stories of their experiences as religious minorities. .
Wednesday night, at 7 p.m., I gave a talk in Worcester as part of the Worcester JCC Author series. For future Faith Ed. events, go to my website’s events page. Coming up after the Boston Books Fest: Talks at St. Paul Lutheran Church in Arlington; Merrimack College in Andover; Boston College; and many more. Tagged Adam Blumer, Boston Book Festival, religion and schools, Worcester JCC, Zain Tirmizi. Bookmark the permalink.